Clumps of low grey foliage. 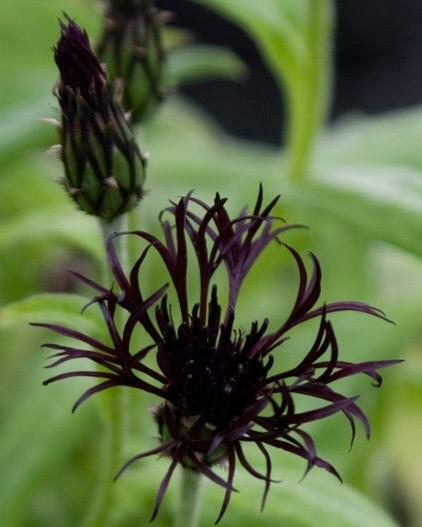 Open shaggy near black cornflower, May to July. Sun and good drainage. 45cm tall. Repeat flowers. Loved by butterflies and bees.